FingerTec is proud to offer a scholarship program for individuals who aspire to pursue their career in software engineering. We are looking for students with excellent academic results, strong analytical skills and undivided dedication to apply for undergraduate studies in local private and public education institutions. FingerTec Scholarship Program is our small effort to building the nation’s talent pool to set us up for many great things that’s going to happen around the Internet and the virtual world. Winning a scholarship is an achievement by itself, meaning that the company acknowledges your talents, hence is willing to invest in your education. When you are recognized for your accomplishments it gives you the confidence to pursue other goals. It is very important for students to recognize their own potential early in their academic career so that they foster its growth—receiving recognition from an organization or company helps students take this step. Attaining scholarship is an indicator of your academic achievement. No scholarship provider will settle with the less performaning students. The major things being stressed in the eligibility is the academic achievements followed by co-curriculum involvements. 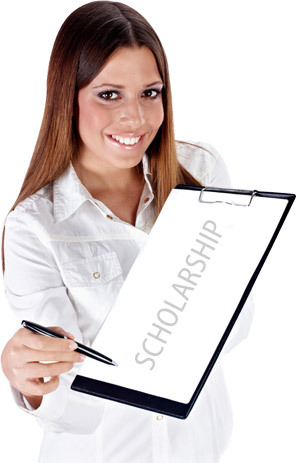 When you are a scholarship receipient from a distinguish organization, you have created a standard for yourself. Education is not cheap and by having a scholarship finances your whole tertiary education is absolutely amazing because one, you don’t have to worry about financing your education semester by semester by working part time etc, second, you can focus all your time and effort into getting good grades, third you are promised a good job once you finished your study and most importantly, you will start your working life without any financial burden! Winning a scholarship projects this image that you have great potential and you are wanted! And universities prefer students who are distinguished and have been recognized for an accomplishment. Most colleges are looking to add students who will be positive contributors to their student body. A merit scholarship confirms that you are a capable student who would be a great addition to the school. What would a resume of a scholarship receipient tells an employer? I have potential and people are willing to pay to nurture that potential. A scholarship can make it easy to make your resume stand out. Being recognized by someone else for your achievements is sometimes enough to get you in for an interview with a future employer. By accepting a scholarship from an organization, you will have the future set for you with internship and a job waiting for you at the end of the deal. It’s not bind for life but just enough to get you the headstart in the jobmarket and you are free to roam in the jobmarket once the binding period is over. And if the job at the scholarship provider company is amazing, it’s your for as long as the position takes you. Applicants must meet the following criteria when applying for the FingerTec scholarship. 2. Applicants must not exceed 23 years of age at the time of application submission. 3. Applicants must be intending to start a course or currently pursuing a course at the level of undergraduate in local universities only. 5. Applicants must meet the pre-university requisite qualifications. 7. Applicants must not hold any other scholarships or study loans. 8. Applicants must agree to be bonded for a minimum three years with the company after the study is completed. 1. All scholarship applications and supporting documents must be submitted through our online submission system before the closing date. Submission by any other methods i.e via post, by hand, etc will not be considered. 2. Applicants that do not fulfill all the required fields and supporting documents will be rejected. f. A powerpoint presentation not exceeding 3 pages about yourself, your character, aspiration, dreams, etc. 4. All attached documents must not exceed 6MB in file size and each attachment’s size is limited to 500KB only. The submission will not be successful if your file size exceeds the limit. Please resize the files accordingly. 5. All documents submitted must be in softcopies. FingerTec does not accept any hard copies of any documents. Do not attempt to send us the documents through post, fax, email or etc. 6. Only shortlisted candidates will be notified for an interview. 1. Are this scholarship opened to all nationalities? No. FingerTec Scholarship is offered to Malaysians who wish to pursue an undergraduate degree in local public/private university only, provided that they met the requirements listed by FingerTec. 2. If I already have another financial assistance; can I apply for this one? No. You must not be bonded by any other scholarship or study loan(s). 3. Do I need to be accepted by a university to apply? Definitely. Applicants must have secured an unconditional offer or acceptance letter from a local university prior to receiving the scholarship awards. 4. What are the approved fields for the scholarship? 5. Can the first and second year student apply for FingerTec scholarship? Yes, as long as you can prove that you have achieved excellent results consistently throughout your academic year(s) at the university and you adhere to all the other requirements of the FingerTec Scholarship Program. 6. Can I apply for FingerTec scholarship through an email? No. All applications must be submitted through online ONLY. Submissions through other means will not be entertained. 7. How do I know that FingerTec has received my submission? 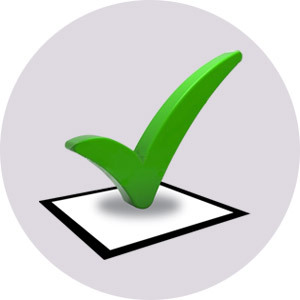 You will receive a notification email from FingerTec detailing the submission details of your application. 8. How do I know that I have been shortlisted? FingerTec will contact you through the contact details provided by you in your application. The scholarship covers all tuition fees until completion of the degree (maximum 4 years) and it also covers RM10K per annum living expenses plus miscellaneous fees such as library fee, admin fee, health insurance up to RM5K per annum which is to be paid based upon invoice provided by the institution. 10. 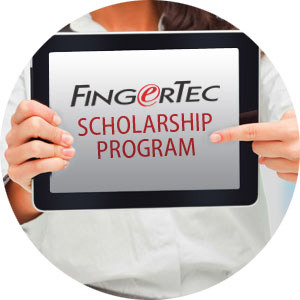 How many candidates will be accepted as recipients of FingerTec Scholarship Program? A total of 2 successful candidates will be accepted to receive FingerTec Scholarship Program every year. 11. What do I need to do if I fail to obtain the undergraduate degree as agreed? You are responsible to reimburse the total amount disbursed by FingerTec during the entire scholarship period back to FingerTec. 12. Do I need to provide guarantors for this scholarship? Yes. All successful applicants will be required to provide two (2) guarantors, employed or self-employed. Only a parent can be a guarantor while the second guarantor must be other than your parent(s). 13. Will I be bonded with FingerTec upon graduation? Yes, you will need to serve at FingerTec for a minimum of 2-3 years upon graduation, which offers you the opportunity to learn our business operations and build a career with us. 14. What are the scholar’s obligations? 15. What happens during internship? Can I go for an internship with other companies? You are required to intern at FingerTec’s RnD center to gain the exposure and hands on experience from the experts at FingerTec. Internship at other organizations are not permitted for FingerTec scholar recipients. 16. Can FingerTec’s employees offspring apply for this scholarship? Yes, the FingerTec Scholarship Program is open to all including our employee’s children so long as the required criteria is met and the application is submitted through the normal submission process. 17. 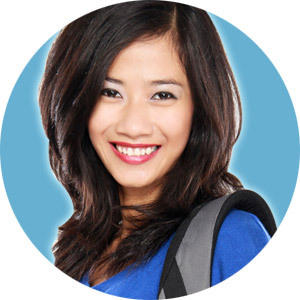 What is the minimum grade that a student needs to maintain as FingerTec scholar? FingerTec scholar is required to maintain a minimum CGPA of 3.5 and above OR 2nd Class Honours and also maintain active participation in co-curricular activities. 18. If I encounter problems during application process, is there any contact that I can use to reach FingerTec? For more information/enquiries/assistance, you may email to scholarship@fingertec.com and we will attend to your email within (1) one working day. No submission will be entertained through this email. 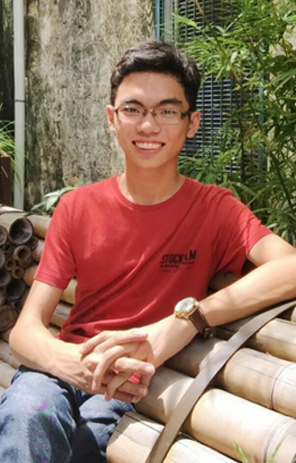 Khooi Xin Zhe, nicknamed Nicholas, is the first recipient of the minted FingerTec Scholarship Program newly introduced early this year with the objective to provide financial aids to deserving students in achieving their great potentials. Nicholas is a 19 year old student from Sg Siput Perak, currently pursuing his first degree in Bachelor of Computer Science (Computer Systems and Networking) at University Malaya, Kuala Lumpur. Beyond Biometrics caught up with him for an exclusive interview. Q Take us to your childhood; share with us your best childhood memory if you don’t mind. A I believe my childhood experiences were similar to lots of people, being naughty, getting scolded, having fun with toys and siblings, eating sweets, watching cartoons, and many other stuffs kids do. But I do think that I’m more fortunate than others, as I had the chance of playing with a computer at the age of 3. I could still recall the big CRT screen and system unit running Windows 95 with my first ever Tarzan video game and I believe that this is why I am so attracted towards computers until now. Q What about your parents, do they always put focus on education, do they plan for your future or they give you the freedom to decide? A My dad is an online businessman, my mother works as a human resource department executive. I’m the eldest of three, and since young, my parents focused on teaching English to me. I only watched English cartoons and I developed my English skills from there. My parents always let me to do the thinking, by giving hints to solve my own problems. Through that, I was able to be independent on my own in school works and never required any extra tuition classes and attention from them. My parents didn’t plan for my future, I made every decision myself but they have always guided and encouraged me in every decision that I’ve made. Q Tell us were you always a hardworking student in class or you found your rhythm after you reached a certain stage? I received my primary education in SRJK (C) Shing Chung, Sungai Siput(U), Perak. During my early primary school years, I hated school and I always skipped school until I met my standard 3 class teacher who changed my perception towards school. She noticed my problem and approached me. She counseled me and paid extra care towards me. Since then, under her guidance, I changed my perception towards school and began to love it. I’ve always reminded myself to be different from others in class. This is what motivated me to put in extra efforts in various subjects and maintained my ranking within the top 3 and to always be prominent in other co-curricular activities. Q Do you always know what you want to be? A Yes. I have always wanted to be involved in R&D related job fields. Given the chance, I will further my studies until PhD level in my related field. Q What were your favorite subjects in school? A STEM-related subjects such as Mathematics and Physics were my favorite subjects. I liked them because they allowed me to do more thinking, understanding and analyzing, as the subject itself is more dynamic compared to others, which require us to memorize a lot of static facts. Q Do you recall any anecdotes from your school years that might be worth sharing with us? A During my secondary school days, my military band’s head teacher advisor and senior assistant of co-curricular activities inspired me the most to become a good leader. I was given the chance of being the president and conductor of the military band back in year 2012 to 2013. Looking back at history, our school’s military band was one of the oldest military bands in Perak, which was set up in the 1940s and used to have glorious achievements until the 1990s. I remember every moment working with my committee members and these two caring teachers to bring up the whole military band back to its glorious days after 10+ years of poor achievements. Various reformations that we introduced changed the whole organization and under my reign as the president, we managed to bounce back and get a silver awards in competitions. That was the best achievement that we managed to achieve and until now, the band’s achievement are getting better and better ever since our reformation strategy. Q How did you find out about FingerTec’s scholarship and what made you decided to apply? A Frankly speaking, I have never heard of FingerTec’s scholarship before this. I was just Googling randomly online for scholarships and then I discovered FingerTec’s scholarship at around page 5 or 6 of the Google search results. As a scholarship hunter, I did not think much, and filled in my details to give it a try and hoping to get an interview chance to improve my interviewing skills. Q What does this scholarship mean to you and how do you see TimeTec as a company? A Firstly, I am proud to be the recipient for this scholarship. I see TimeTec as a company with great potential to grow big in the near future and I want to be part of this growing company. I see this as a special opportunity to grow together with the company and this made me accept this offer after turning down 2 other scholarship offers earlier this year. Q If you have a charity that you support, what would it be and why? A I always support charity activities either by volunteering myself or providing monetary aid given that I am capable of. There’s no specific activity that I support. As long as it benefits the society and aligns with my own personal principles, I support it. Q What is your take on programming as a career? Do you have any famous programmer that you want to emulate? A I believe that programming is a challenging yet fun career because we get to solve various challenges throughout the career and being able to solve complex problems gives me the greatest personal satisfaction. As for famous programmers, I admire a lot of them, such as Mark Zuckerberg of Facebook, Larry Page of Google, but, everyone’s style is different, I wish to have my own style. I would not emulate their style but I would try to emulate their achievements, which changed everyone’s life with useful technology. Q Last but not least, tell us your favorite sports, favorite movie and favorite band. A Well, I watch and football often, and my favorite team is Manchester United. Besides, football, I love table tennis too. As for movies, I don’t have any specific favorite movies, but I’m a big fan of Disney’s animated films and One Republic is my favorite band. Q Thank you for your time, such a pleasure having you. If our available vacancies are not what you are looking for but you think we should take a look on what you've had to offer, please submit your profile to us at FingerTec Career Application Profile. If there's an opening, rest assure that you will be in front of the Que, or better still, we might create a position just to hire you!